We should start at the beginning of this saga, but this would take too long. Rather I will start with a continuing program that Don Frew, one of our National Interfaith Officers at CoG, presents. It is called "The Waters of the World." 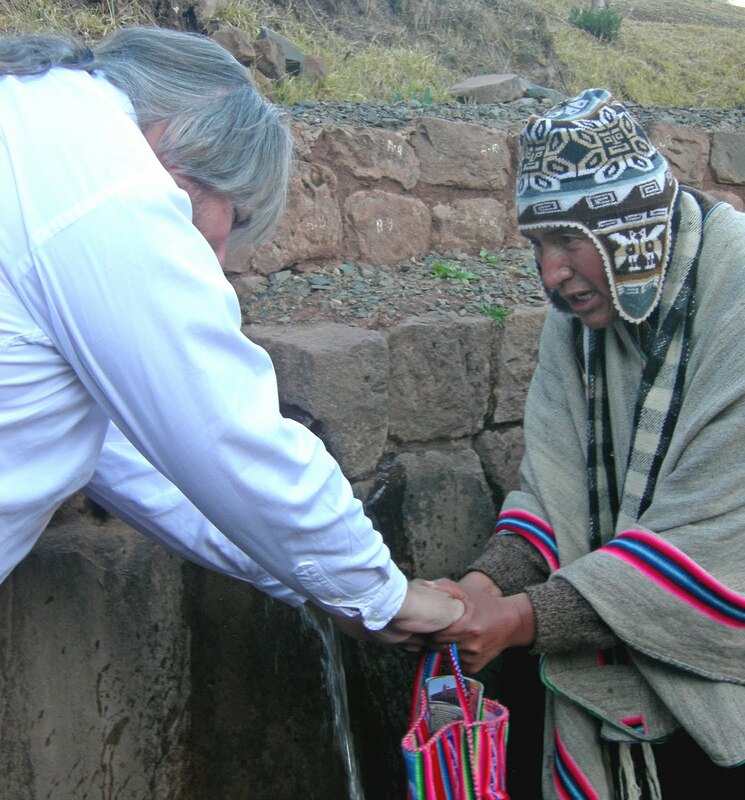 Wherever we go Don does this presentation, gathering sacred waters from wherever we are to add to the existing set. 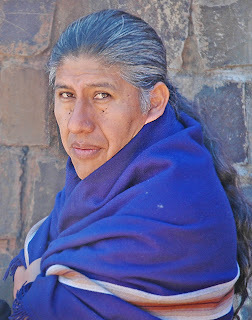 In September we were asked to go down to Cuzco, Peru to participate in an indigenous gathering there. We have been working with these folks for some time and they have come to accept us as fellow practitioners of an indigenous tradition. We generally serve as cultural translators between the industrialized, corporate world and the indigenous mind set. This particular group was familiar with the "Waters" project, as we had shared those waters during a ceremony of healing for the waters of the falls at Foz du Iguasu, Brazil. And so began our journey toward the Parliament. It quickly became apparent that, though the Parliament wanted this congress to focus on indigenous issues there seemed to be no mechanism in place to support the idea financially, and that Don and I would be the only voices to be heard on behalf of our brothers and sisters in South America. This, we felt was unacceptable; first because we did not have the experiences that our friends had that would allow us to represent them properly, and second because we would have little authority in the eyes of other indigenous people attending the parliament. The only solution was to try to bring at least one of them to the Parliament. When it became clear that there were no funds available from any organization with whom they were involved, we raised the funds ourselves, and, at the eleventh hour, literally, we arranged for Raul Manani's flight and visa. Raul is an indigenous practitioner from Argentina who attended the last Parliament in Barcelona, Spain. (See photo above) We are still working to find lodging over the Parliament week end but have trust that the Gods will see fit to aide us; ...well them and perhaps local pagans and indigenous folks. Once the Parliament found out that he would be coming they were very excited saying that they had been trying unsuccessfully to have any indigenous person from South America attend. I wonder if it occurred to them that there might be a relationship between "indigenous" and funding challenged? At any rate they want him to sit in on a couple of panels and have other plans for his time as well. In return they are offering a "presenter's discount" that will be available for him at registration. As I had promised him over a year ago that I would be there for him as a friend and translator if he could go, my time had been pretty much spoken for. Meanwhile, back in San Francisco, a project arose out of the Interfaith Chapel at the Presidio in San Francisco, and the North American Interfaith Network to do some live feed interviews on Spiritual Resources as pre-Parliament events, and suddenly we found ourselves with press credentials and the position of "official team" for live and streaming web feed of the Parliament. Well!...This could be interesting. As all of the sound equipment and half of the camera equipment is mine I just added 35 pounds to my luggage and an entire extra day to each day's obligations. Oh Dear...Stay tuned to see how this plays out.